Many visitors arrive at our website everyday searching for a place to buy firewood in their area. Click Here To Submit Your Business Now! What's the catch? There isn't one......It's just another way we supply our visitors with the most useful information possible. What makes our directory so unique? 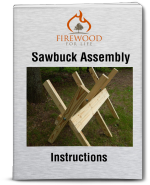 Our website is one of the most popular firewood information sites on the internet. Each month thousands of people search our site for ways to effectively use firewood to heat their homes. So why not take advantage of this targeted audience? Our directory is searchable so customers can easily find you without scrolling through a bunch of information. As the directory grows, we'll provide a geographical listing to make finding you even easier! You get a full page to advertise your business. There's lots of room for information about your company and the services you provide. You can add a photo or company logo to your Advertisement Page. Social networking features are included with every Advertisement Page allowing you to get the word out about your page and your business. Just click to Tweet about your page or share it on Facebook. Ready To Create Your Advertisement Page? Please make sure you read the guidelines in the submission box below (they will appear once you enter your location and business). Unfortunately we must decline any submission that does not follow our simple guidelines. Bottom Line: If you read and follow the guidelines you'll get a free Advertisement Page in our directory. We really want to help your business get noticed so please take this opportunity to supply as much information as possible. Just fill in the form below. If you choose, we'll send you an email confirmation once your listing has been approved. Your business will appear on its very own Advertisement Page. You can wrap a word in square brackets to make it appear bold. For example [my business] would show as my business on your Advertisement Page. Also, please do not use ALL CAPS because this is hard to read and your visitors may just leave the page. Please make sure to use proper punctuation, grammar and spelling as this projects a professional image for your business. A minimum of 300 words is recommended for search engine optimization. This will help your Advertisement Page get found by Google and your customers. REMEMBER: Listings with no contact information will be rejected because our visitors need to be able to contact YOU.